How long does it take to be an LPN? 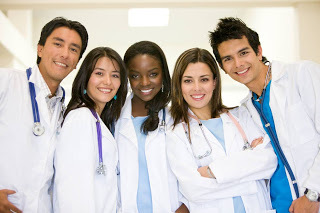 One Year LPN Training Program – In order to become an LPN one can opt for this as this program involves on job training under the supervision of a RN (Registered Nurse). How long does this program take for completion? This program generally takes about 1 year to complete. Once the aspiring nurse is done with this program, they can opt for a National Council Licensure Examination to get certified. Two Year LPN Training Program – This program is suitable for those nurses who are already working at some hospital and are pursuing to become an RN, Registered Nurse. How long does this program require finishing? It takes 2 years to complete this program and become an RN. This program involves emergency nursing care, pediatric nursing care and so on. How long does any major training program last for? On an average any kind of Licensed Practical Nurse training program lasts not more than a year. These training programs on a majority are offered by different vocational schools and colleges. It involves not just study but also a fair share of patient care which results in getting hands on experience at handling patients. This program covers essential topics such as anatomy, science, psychology, physiology, pediatric nursing and psychiatric nursing. An aspiring LPN needs to be calm, with a positive outlook, caring, stable, needs to have lots of patience, and also compassionate. As on a daily basis they will have to deal with varied mind set of patients and in order to care and treat them rightly an aspiring LPN will need these qualities. While pursuing any type of study program the aspirant also requires attaining as much practical experience of nursing as possible. The practical education aspect of the program is the most essential one. How long does this gaining of practical experience required for? This practical experience is combined with the study program. And after successfully finishing this program the aspirants are qualified to take the final certification exam knows as the NCLEX-PN which is the National Council Licensure Examination for Practical Nursing to become a Licensed Nurse. How long does it take to obtain this certification? This can be obtained after finishing the training study program depending upon the training school opted for. On an average it takes about 48 hours to get the results.